The team at Penti-M have just completed one of the most exciting manufacturing projects, another ‘Made in Rockhampton’ product! 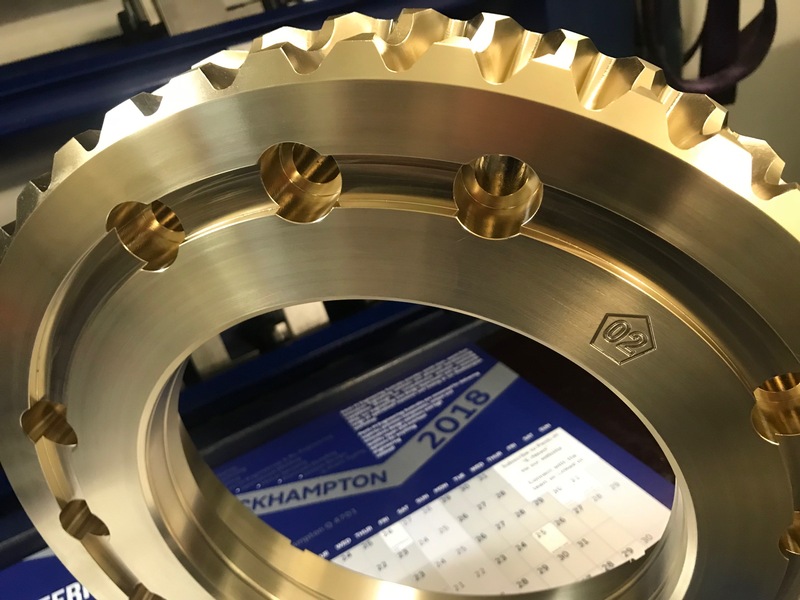 This worm wheel, a highly complex component (pictured) is part of a rotating worm drive and is an extremely important piece of our customers machinery. The local earth-moving customer was experiencing problems with their system and engaged the reverse-engineering and manufacturing expertise of Penti-M to solve their problems. The OEM supplied parts are expensive and often incur lengthy delivery times, something not uncommon for overseas suppliers. Penti-M Engineering sourced Australian Made bronze specially for this project and performed all engineering, manufacturing and machining, in-house at our Rockhampton workshop. This project was completed with the use of our advanced 3D Solidworks software and our 5 Axis CNC, Mazak Integrex machine tool. As a complete engineering service provider, you can trust in Penti-M to deliver on precision and quality, on-time and in-budget. It is a great accomplishment to complete this project for our local customer and produce another world-class ‘Made in Rockhampton’ component right here in Central Queensland.